V-PAC System – Top Manufacturer of Advanced UV Disinfection Products – UltraViolet Devices, Inc. U.S. 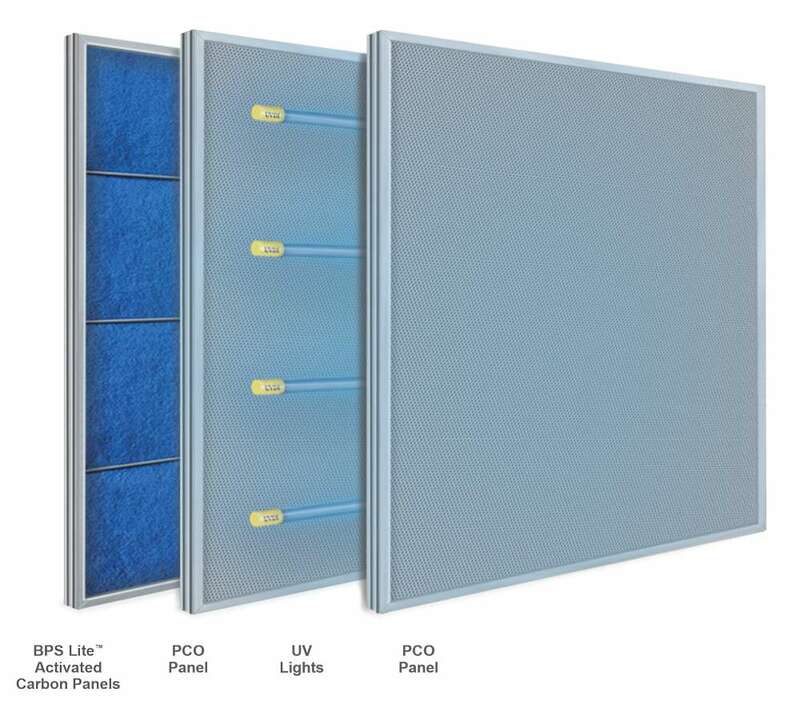 The PCO filter panels are made of durable aluminum honeycomb construction impregnated with a proprietary coating of titanium dioxide catalyst. Utilizes a 1" thick BPS Lite™ filter which is housed in the same filter holding frame as the PCO.